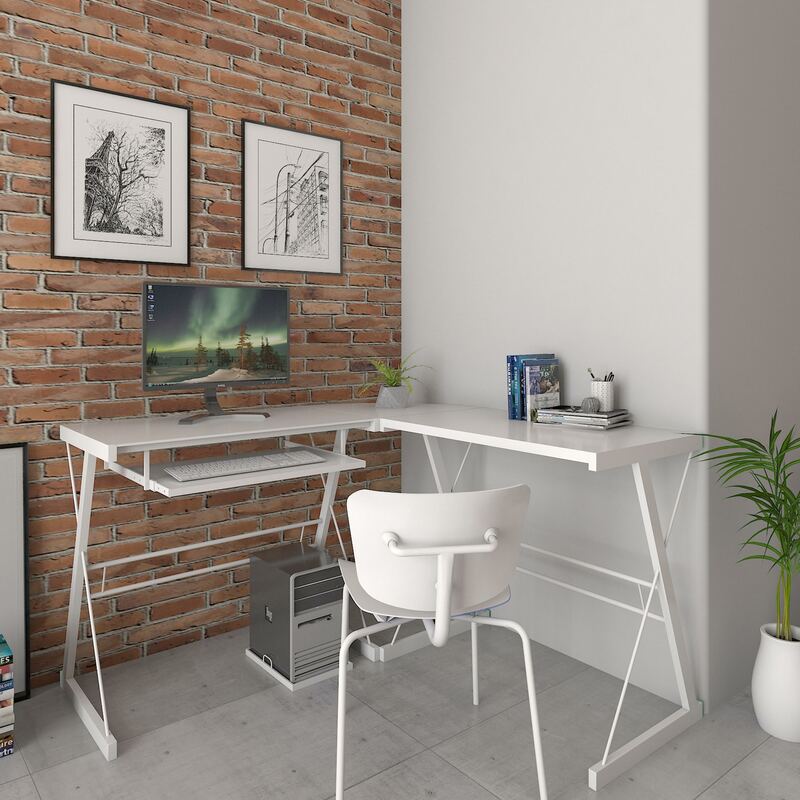 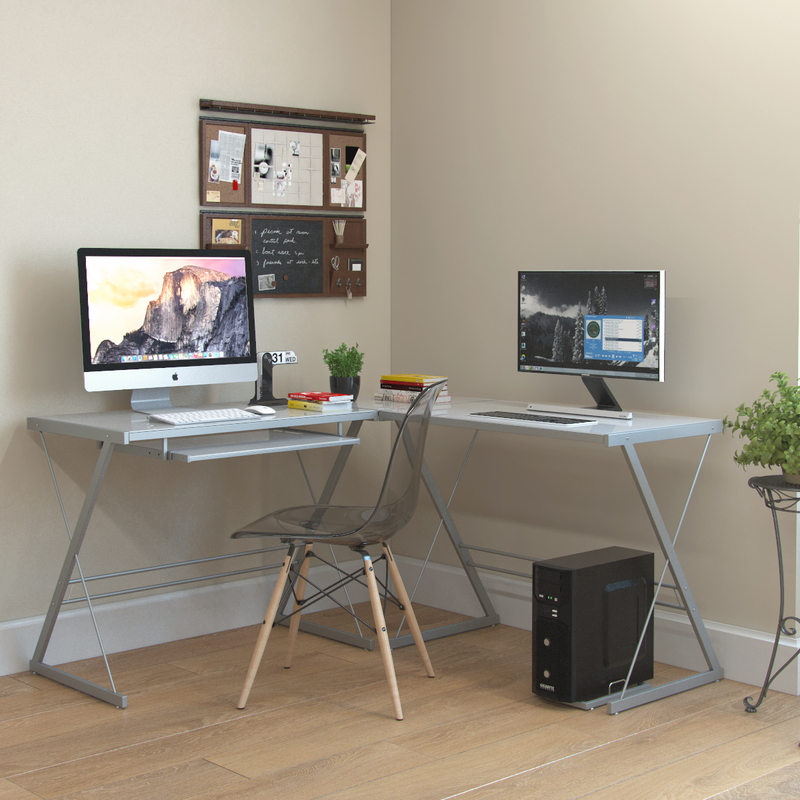 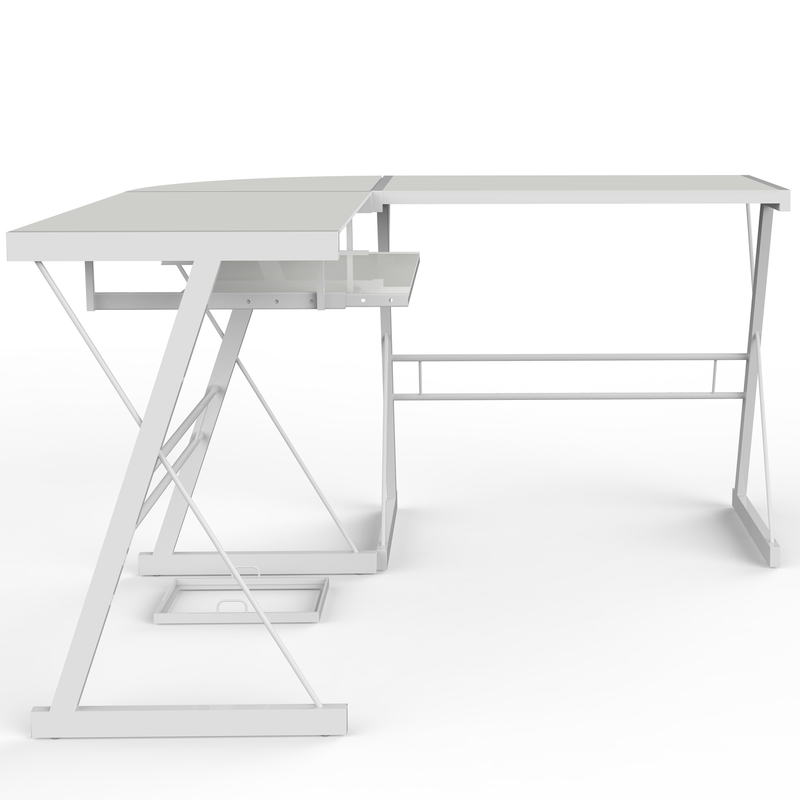 Stylish, contemporary computer desks design. 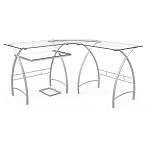 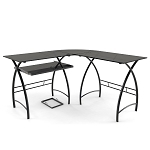 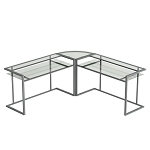 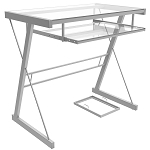 Polished and beveled, tempered safety glass designed to be used as corner desk. 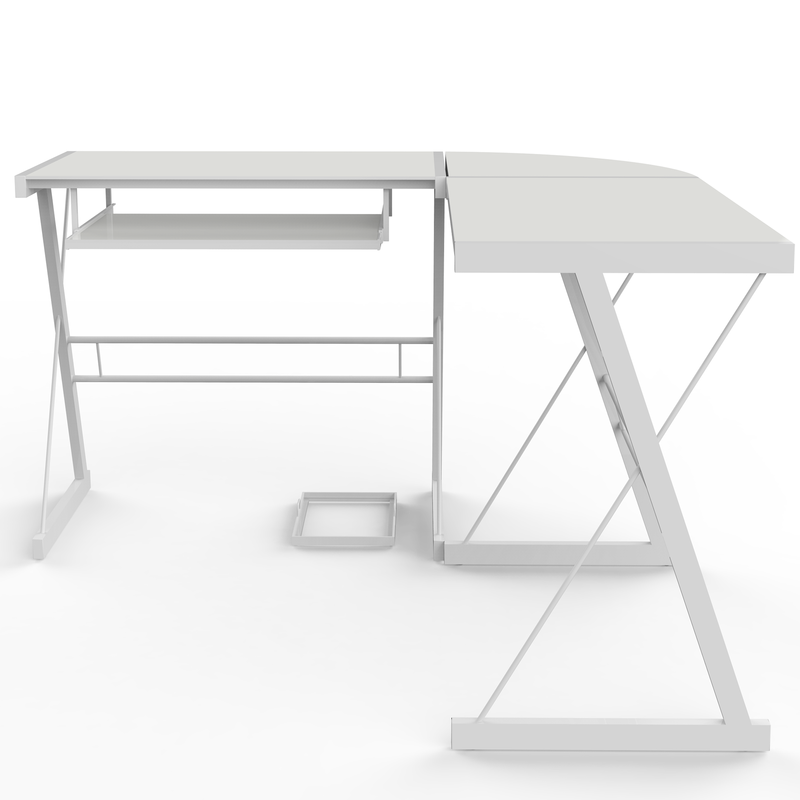 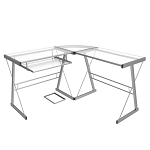 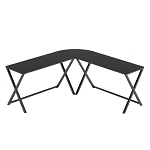 This L shaped computer desk ships ready-to-assemble with necessary hardware and tools. 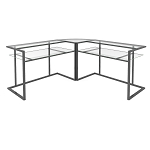 Dimensions: 51" W x 20" D x 29" H (Overall Depth: 51") Weight: 57 lbs. 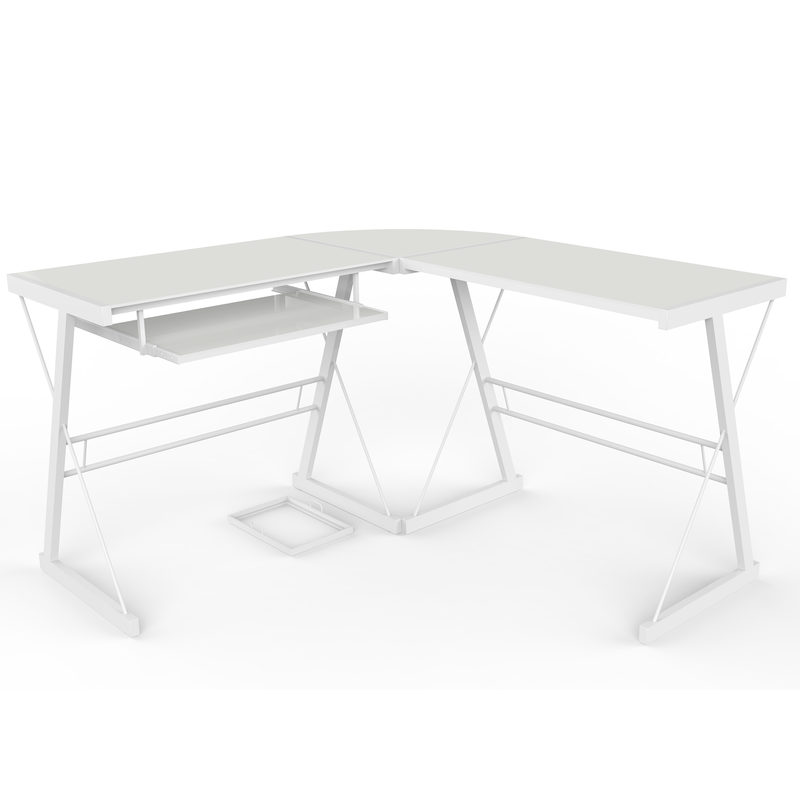 Durable L shapped steel frame with a white powder-coat finish. 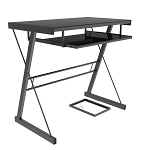 Sliding keyboard tray can be mounted on either side of desk with glass top and Free CPU Stand.